Do you wanna be the very best, like no one ever was? Well, you better have some money, sucker. 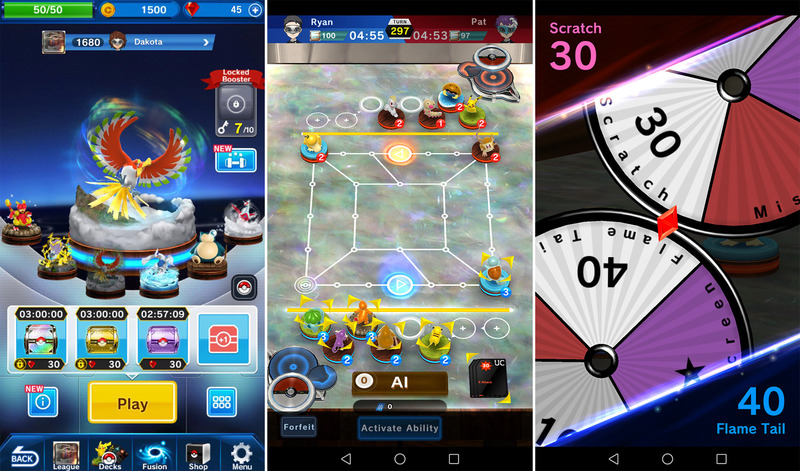 There's a new Pokémon game on Android, and it's called Pokémon Duel. Despite the name, this game has very little to do with the traditional Pokémon battle mechanics. It's a board game with oh so many in-app purchases and timers. Pokémon Duel is essentially a basic strategy game. You have game pieces that must be used to defend your side of the board while also advancing on your opponent's side. All battles are a luck roll and getting new Pokémon is handled with booster packs. While it's true you can play the game without spending money, good luck there. Everything seems to have a timer that can be bypassed with premium currency. You can also buy instant boosters and power-ups with premium currency. I've seen worse in-app purchase systems, but this is still lame. Worse, the gameplay doesn't seem very interesting. I think we all just really, really want The Pokémon Company to give us a regular Pokémon game with the exploring, collecting, and battling that made the franchise so beloved. So far, we've gotten a poorly supported augmented reality game, a matching game, and now a board game. C'mon, guys.